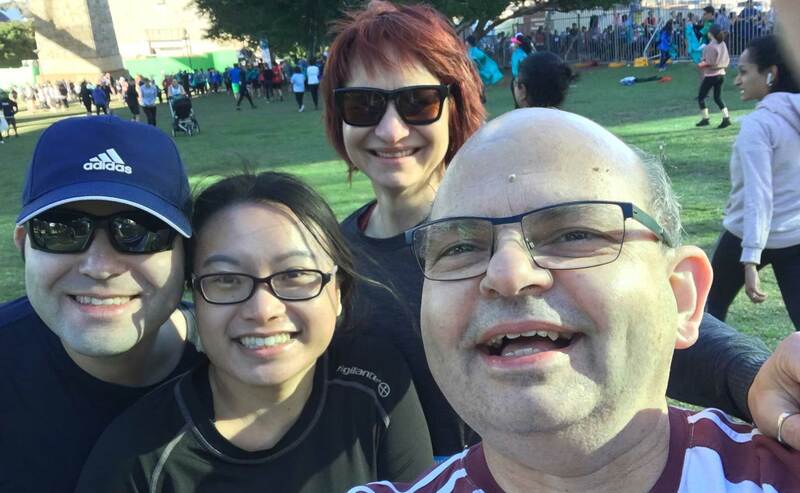 On a chilly Sunday morning, Team Miroma set out to start the10km Bridge Run at 8am. Starting out at Luna Park and crossing the Harbour Bridge to finally end at the Opera House. Anthony had a possible calf cramp and poor Joy, a painful corn in the foot, but we all made it. Joy with the help of Roman finished the run. They took about 2.5hrs but they made it before the run cut off time. Team Miroma before the start at 8am - chilly! Even though it was chilly it was great running weather. 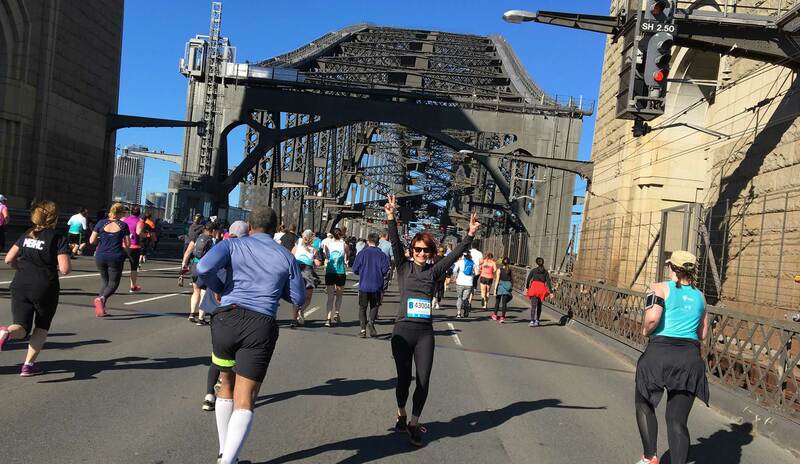 It’s always amazing to run onto the Harbour Bridge, then the cork screw, Cahill expressway, past Hyde Park, Botanical Gardens, then onto the Opera House. 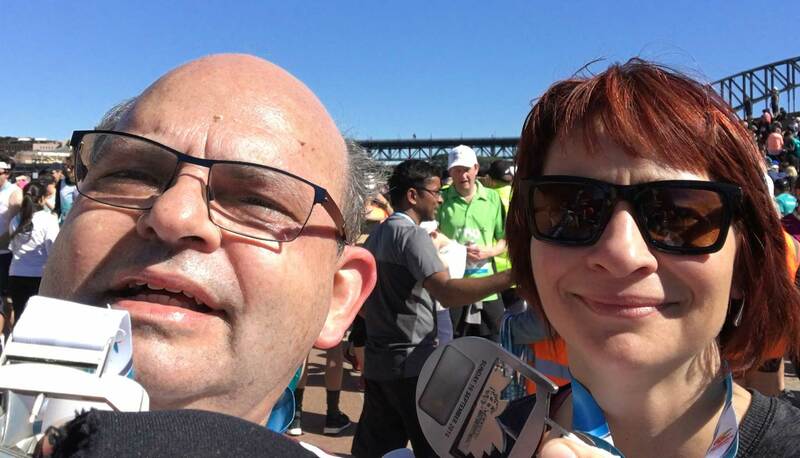 A highlight of the run was high fives to a group of Hare Krishna – tick that off the bucket list! I want to thank Katka for keeping me going to the end. She had invaluable advice and was a great trainer to the team. After 10km of running, hobbling and walking, Katka helped me over the line! Woo hoo! Team Miroma, we did it! Thanks everyone for the training sessions and joining the team in the Bridge Run, AND thanks for all the support and donations from everyone! I want to thank past runners, trainers and supporters for allowing me to continue to run and support my son’s provider for over a decade. Checkout past runs. 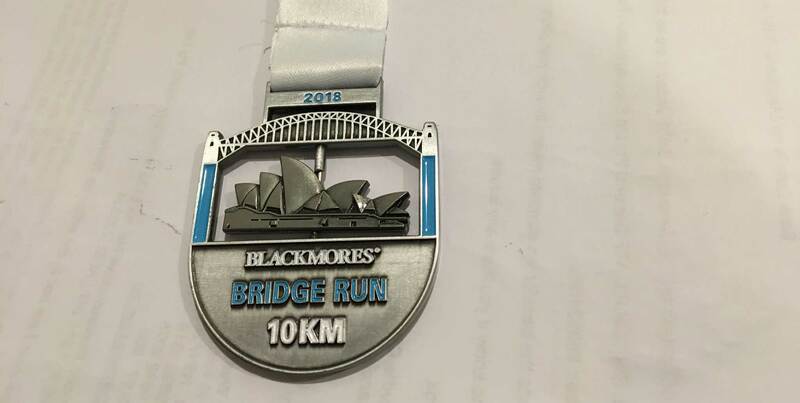 The Bridge Run medal - well done team!